The best way to start the season in England this year. 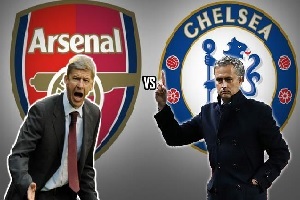 Premier League champions Chelsea will face Arsenal in the 2015 FA Community Shield at Wembley Stadium this Sunday. Although it is a glorified friendly game both teams will want to lift the trophy. Arsenal have been great during their pre-season games and their key players are in great shape. Petr Cech is already in great form as is Walcott. Chelsea do not perform so well till now. They lost against New York Red Bulls and made a draw against PSG in ordinary time. Plus they will have less time to prepare, because of their game with Barcelona in USA on Wednesday. With that been said I think Arsenal will give their best to win this game and lift the trophy!